I would never have related this pony to toothpaste by myself. Edit: Fixed the fill in her neck and head, and fixed lines on the mane and tail. Why isint her cutie mark a toothbrush? 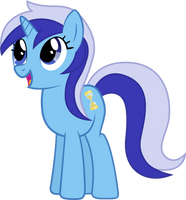 Here's the mane reason why Minuette, that's her cannon name, got related to toothpaste, when you look at this picture, look at Minuette's tail. Aww, she's gorgeous. She would make a great plush. 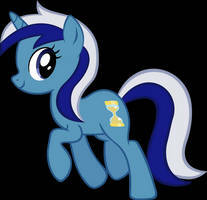 Nobody (er, nopony) ever drawls colgate, she really is an awesome pony. Cute! I was surprised by the lack of Colgate vectors out there.